Here’s what we’re reading, in this, the last week of November 2012: How to make great beef jerky, the U.S. approaches yet another debt ceiling, the Dept of Homeland Security invests in underwater drones, Iran taunts the world and openly increases nuclear production, and Science journalist wonders if 2012 may be the year of the solar disaster. Smoking and dehydrating meat is a great way to preserve high protein fuel that our body needs. It tastes good. It’s fun to eat. And it’s fun to make. 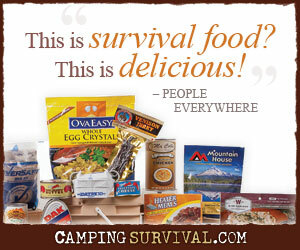 But in a survival situation, knowing how to preserve the meat that you’ve harvested, can mean the difference between eating and starving. The Art of Manliness shows how to make in in your oven. A similar process could be used after TEOTWAWKI. From The Art of Manliness. Science Journalist: Maybe the Mayans Were Right? According to Science journalist Lawrence Joseph, the Mayans may haven been on to something. But he’s based his information on more than just their calendar. Joseph has a theory he calls “The Moody Sun Hypothesis” By his calculations, we’re do for another solar event most any day now. In his recent book he stated “The countdown to the end of civilization as we know it began on August 28, 1859, when Earth was engulfed by the first of two mammoth plasma fireballs.” What a quote! From Information Week. Iran’s nuclear chief, Fereidoun Abbasi, announced this week that his country will sharply increase the number of centrifuges that make nuclear fuel. He also announced that a new heavy water reactor will be tested soon as well. Both of these come as a direct defiance to the U.N. and further raises tensions in the middle east. From USAToday. Drones have proven effective for the U.S. military in combat operations. Now the Department of Homeland Security is investing in them. DHS already owns aerial drones. Now they are expanding their arsenal with under water counterparts. From Daily Mail. While much of America is busy buying Christmas gifts and wondering what will become of the Fiscal Cliff, yet another ominous financial crisis is slowly approaching – the Debt Ceiling. According to the Bipartisan Policy Center will reach its $16.394 Trillion debt limit during the last week of December 2012 and will begin defaulting on it’s obligations by mid-February. At this point, one has to wonder, why even bother putting a limit out there? From McClatchy. That’s great! My grandfather would make dried apples that way, too. Worked great. that drone website freaks me out- i don’t think i like the idea of drones anymore.